In the summer of 2006, Alex Thoele and Jon Pickett met while playing guitars around a campfire, high on a mountaintop in Estes Park, CO. The two have been entertaining and writing music since. In 2010, they were joined by mandolin player and fellow midwesterner Jarett Mason and shortly after by James Weatherly on banjo, the band’s only Colorado native. They’ve become known for winning over crowds with creative, fun original songs that flow from the mountains, through them and right back to you. Pure Mountain Music! It’s obvious these guys love what they do, engaging their growing fan base with energy and stage antics that guarantee one hell of a night out. The band’s newest album is “Where I want To Be,” released October, 2016. In 2015, a live album, “Chain Up Volume 1” was released and the debut studio album “Dancin’ With the Law” hit the scene in 2013. 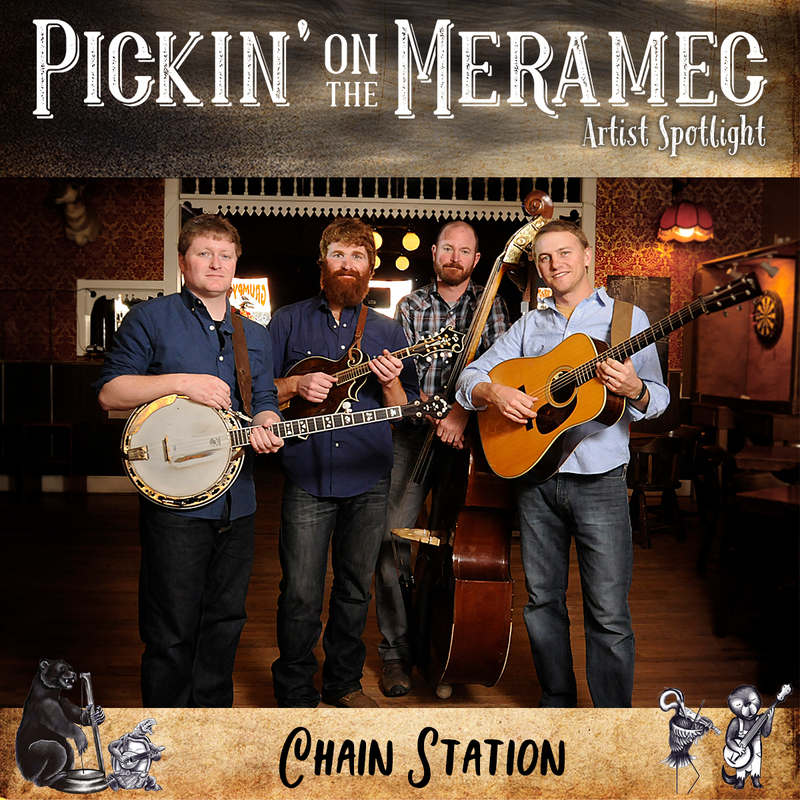 Chain Station has directly supported bands such as The Travelin’ McCourys, The Devil Makes Three, Todd Snider, Sierra Hull, Frank Solivan & Dirty Kitchen, Fruition, Trout Steak Revival, The Railsplitters, Lil’ Smokies, Hot Buttered Rum, Deadphish Orchestra and many more. This band has been living life through music and adventures together for more than six years. Relentless gigging in their home state of Colorado, the mountain west and the midwest has made this band of brothers one of the tightest and most professional little ragtag pack of muppets on the scene today.